The Encore EC 6500 treadmill has the most features and the best specs of all Encore models. Hands down, this is the best treadmill in the Encore line, probably even the best in all of Keys Fitness’ mid-priced treadmills. I believe this treadmill would benefit almost everyone. Whether you’re a beginner or a veteran runner, this model has something for you. Plus, it is sold for less than $1,500, so most people can afford it. But if for some reason you simply don’t feel like buying this model, then you could always check out our best buy treadmills page and choose the unit that suits you best. Like I’ve said above, this model has the most features and best specs in the Encore line. It boasts a 2.5HP continuous duty motor with a 20inch x 56inch tread belt. These specs are comparable to some of the best treadmills in the mid-priced range category. It comes with 4 preset, 8 custom, 2 user and 1 heart rate programs to give you more variety in your workouts. The OneTouch™ speed and incline control makes adjusting your workout as easy as possible. Plus, the heart rate chest strap is perfect for those who love to run in their target heart rate zone. And best of all, it still offers the generous motor warranty, which is 10 years. Other warranties include lifetime for frames, 2 years for parts and a year for labor. This is a very nice treadmill but just like other Keys fitness treadmills, it still needs improvement on the finish quality. The parts are of decent quality but the fit and finish is still not at par with some of the best mid-priced treadmills in the market today. 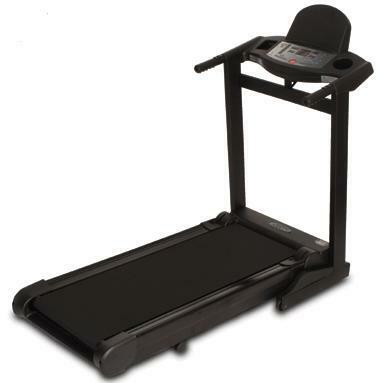 If you plan on buying an Encore EC 6500 Treadmill, I suggest you locate a dealer through keysfitness.com. It is currently being sold for $1,499.